This workshop has already taken place. For more information about what happened at the workshop, please see presentations and other materials linked from the Workshop Program. This workshop is designed to explore the many ways that authentic research experiences can be embedded in introductory Earth Science courses. This follows the recent recommendations from the President's Council of Advisors on Science, Technology, Engineering and Mathematics (PCAST, 2012 (Acrobat (PDF) 5.3MB Feb8 17)): Advocate and provide support for replacing standard laboratory courses with discovery-based research courses. 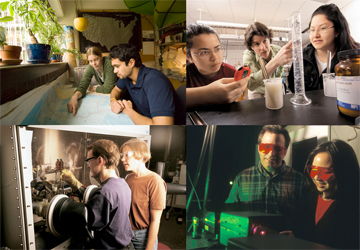 Access to Earth data, information technology, instrumentation, field experiences and new understanding of how students learn (e.g., through Discipline-Based Education Research, NRC 2012) provide unprecedented opportunities for students to engage authentic research at early stages in their careers. Early exposure to research experiences has shown to be effective in the recruitment of students, improved retention and persistence in degree programs, motivation for students to learn and increase self-efficacy, improved attitudes and values about science, and overall increased student success. Please share your experiences in promoting student research in the first two years in your own courses and departments. Workshop activities will include presentations, demonstrations of teaching activities, large and small group discussions, and working group sessions. 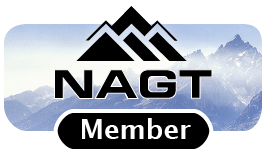 Instructional materials and other information will be organized and compiled as collections of digital resources for use across the geoscience curriculum. Sunday, August 10: Travel day and evening reception and introductory session. Monday-Wednesday August 11-13: Workshop sessions on the Montana State University campus. Review of teaching activities; On the Cutting Edge is conducting a comprehensive review of all our teaching collections. 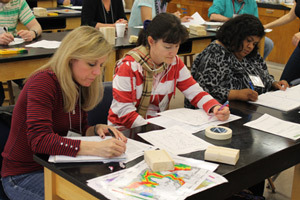 This process began with the Teaching Mineralogy, Petrology, and Geochemistry workshop in 2011. The goal of this review is to develop a comprehensive and coherent set of teaching activities that will serve the geoscience education community for years to come. Participants in this workshop will contribute to this effort by reviewing submitted undergraduate research activities, conducting a "gap analysis" to identify resources that are needed in this part of the collection, and submitting new activities to the collection. Undergraduate Research as Teaching Practice-- a collaborative project of the Council on Undergraduate Research and On the Cutting Edge; this module mostly focuses on research activities in upper division courses for majors and Research Experiences for Undergraduates. Undergraduate Research--authored by Linda Reinen, Pomona College, for the Starting Point project that presents the "what," "why," and "how" to engage undergraduate research with many examples. Integrating Research and Education-- a series of online modules that investigate multiple strategies and tutorials that demonstrate effective ways to translate modern scientific methods and findings into classroom experiences for students. Undergraduate Research with Students from Two-year Colleges-- As more students, especially students from traditionally underrepresented minorities, begin their undergraduate education at two-year colleges, it becomes increasingly important that they have research experiences in their time at those institutions. This workshop is offered in partnership with InTeGrate --Interdisciplinary Teaching of Geosciences for a Sustainable Future. InTeGrate supports the teaching of geoscience in the context of societal issues both within geoscience courses and across the undergraduate curriculum. The goal is to develop a citizenry and workforce that can address environmental and resource issues facing our society. For questions or more information, please contact Dave Mogk or Michael Wysession. 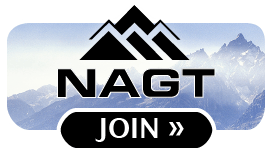 This workshop is part of the On the Cutting Edge professional development program for current and future geoscience faculty, and is sponsored by the National Association of Geoscience Teachers with funding provided by NAGT, and a grant from the National Science Foundation - Division of Undergraduate Education and other contributing sponsors. and maybe reused freely without restriction.